HUD loans offer a unique finance opportunity for American borrowers who are less fortunate. 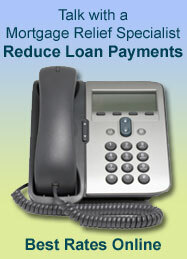 They insure higher risk home loans in an effort to stimulate home buying in the United States. The Department of Housing and Urban Development also known as HUD is a government entity that promotes the benefits of owning a home. HUD loans were created for borrowers who are looking to reestablish their credit with a government insured mortgage. HUD loan programs provide a second chance to a group of people that otherwise would not qualify for home loan financing. HUD loans are insured by federal funds, meaning that the American people must pay mortgage lenders in the case of default. HUD oversees FHA which insures affordable home loans nationally. The Federal Housing Administration was created during the Great Depression to help rebuild the confidence in American home buying. The goal of the FHA is to ensure fair lending for all Americans. HUD insures mortgages for people or families that have less than perfect credit or you. HUD offers FHA mortgage loans to struggling borrowers who have low credit scores and/or financial problems. HUD and FHA don't make loans rather they insure the loans originated by FHA approved lenders. According to the Department of Housing and Urban Development, the FHA has insured over 37 million home mortgages since their inception. Last year, HUD introduced the Emergency Homeowners Loan Program in an effort to extend mortgage help to struggling homeowners. Like the HARP program that Fannie Mae and Freddie Mac offer, the EHLP is a successful loan relief solution that has helped reduce foreclosures. 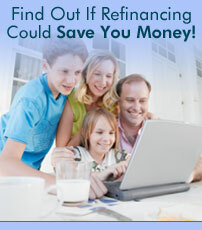 HUD loans are popular for several reasons. Banks like HUD loans because it allows them to share the risk of loan defaults with the government. The U.S. government enjoys the increased property tax revenues that come with increased homeownership. Homeowners like HUD loans because it give people with less than perfect credit an opportunity buy a home and reestablish their credit history in a positive light. To learn more about government finance options and HUD loan opportunities visit the HUD website. > Home Buying Help from HUD.